Romans 5:6 For when we were yet without strength, in due time Christ died for the ungodly…. 8 But God commendeth his love toward us, in that, while we were yet sinners, Christ died for us. But Jesus Christ did much more than that for you and me now.. He left us His Holy Spirit empowerment so we can live fully the Christian life and not rather be always defeated by the devil! 1 John 3:1 Behold, what manner of love the Father hath bestowed upon us, that we should be called the sons of God: therefore the world knoweth us not, because it knew him not. 2 Beloved, now are we the sons of God, and it doth not yet appear what we shall be: but we know that, when he shall appear, …we shall be like him; for we shall see him as he is. Romans 8:11 11 But if the Spirit of him that raised up Jesus from the dead dwell in you, he that raised up Christ from the dead shall also quicken your mortal bodies by his Spirit that dwelleth in you. “You will receive power when the Holy Spirit comes on you” (Acts 1:8). All believers are indwelled by the Holy Spirit; however, not all believers are firstly now “filled” with the Spirit and His power, otherwise God would not have to command us to be. The lack of spiritual power is all too evident among believers. Being filled with the Holy Spirit is Not an option. If you have already received Christ, in Ephesians 5:18 God commands all believers to be filled with the Spirit; therefore, we know it is God’s will for everyone. Again it is really a command from God and really not an option. And there are several Scriptural steps are most certainly initially involved. 1: In preparation for The Filling of the Spirit, Confess known sin and seek and receive forgiveness for all sin even by reliance on the related completed work of Jesus Christ on the cross for our sins. The Scriptures teach that God works in those who lead a humble, broken, contrite heart. 2 In further preparation for The Filling of the Spirit, one must become a confessed believer in Jesus Christ as Son of God who has made the full payment for our sins. Without this act, an acclamation of faith, one cannot be filled with the Holy Spirit, for biblically, the Holy Spirit is the Spirit of God and of Christ. Acts 16:31 And they said, Believe on the Lord Jesus Christ, and thou shalt be saved, and thy house. Matthew 10:32 Whosoever therefore shall confess me before men, him will I confess also before my Father which is in heaven. 33 But whosoever shall deny me before men, him will I also deny before my Father which is in heaven. 3: Read examples of people being filled with the Holy Spirit in the new Testament. Such as Acts2:4, Acts10:44-46 and Acts19:1-6 – Romans 10:17 So then faith cometh by hearing, and hearing by the word of God. Hebrews 11:6 But without faith it is impossible to please him: for he that cometh to God must believe that he is, and that he is a rewarder of them that diligently seek him. 4: Pray for, Desire, seek to be fully controlled by the Holy Spirit, to be under the full influence of the Spirit or to be constantly led by God.. Personally Claim the promises of God that he will reveal himself and fill you with the Holy Spirit. .John 6:37 All that the Father giveth me shall come to me; and him that cometh to me I will in no wise cast out. Acts 17:27 That they should seek the Lord, if haply they might feel after him, and find him, though he be not far from every one of us: Hebrews 11:6 But without faith it is impossible to please him: for he that cometh to God must believe that he is, and that he is a rewarder of them that diligently seek him. Luke 11:13 If ye then, being evil, know how to give good gifts unto your children: how much more shall your heavenly Father give the Holy Spirit to them that ask him? Why aren’t more Christians filled with the Spirit? Simply because of unsubmitted, un confessed sin. We choose to disobey god. This can take the form of pride: doing and wanting things our way. Living a self centered life, and We don’t give God control of our finances; we’ve worked hard for our money and it’s ours now. We don’t give God control of our relationships, associates, choices too;. We don’t give God control of our personal morality; that’s nobody’s business but our own—not even God’s. (Proverbs 3:34). [God] mocks proud mockers but gives grace to the humble” Proverbs 29: 23 A man’s pride shall bring him low: but honour shall uphold the humble in spirit.24 Whoso is partner with a thief hateth his own soul: he heareth cursing, and bewrayeth it not. 25 The fear of man bringeth a snare: but whoso putteth his trust in the LORD shall be safe. 26 Many seek the ruler’s favour; but every man’s judgment cometh from the LORD. 27 An unjust man is an abomination to the just: and he that is upright in the way is abomination to the wicked. Or the “Fear of man will prove to be our snare…” (Proverbs 29:25). Is there something that God wants you to do, but you haven’t done it because you’re afraid of what people will think? God the father, Jesus Christ, and the Holy Spirit are all alive, real, individuals who care about you personaly too and desire now to fellowship with you too if you do now meet their requirements, conditions as stated in the New Testament. Or are you falsely still relying in your own flesh in following Jesus Christ, God, the Holy Spirit? … Did you know that the Bible teaches us that human nature will always deny Jesus Christ. We all first must come personally to Jesus Christ in order to receive the baptism of Holy Spirit as well.. Now without the Holy Spirit of Jesus in ypour life, heart, you can only know, experience, darkness, demons and not God. Our boldness comes from being with Jesus, the Holy Spirit and our knowledge, application of God’s word. We can’t change one thing about ourselves or others without the SPIRIT of GOD. Now still there are much too many imposter, pretenders, non Christians. Thus we all do still do need to know as to what is a real Christian? 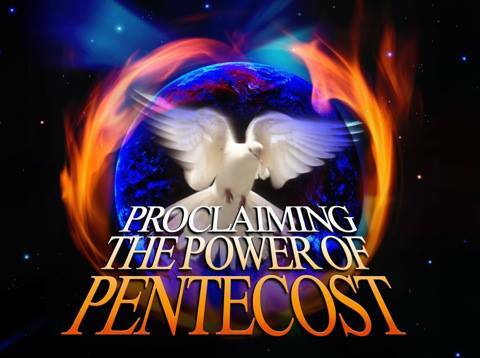 The baptism of the Holy Spirit, the gifts of the Holy spirit, the Anointing , Tongues, Prophets, Apostles, Miracle workers, tithing have become unarguably the most neglected, misunderstood, misinterpreted, contentious terms in the news media, in the non Pentecostal and in the Non Charismatic arenas, especially in the fundamental evangelical religious circles and now all even because many of these people are mostly still serving self, doing their own thing, looking up to mere man and not unto God; As they clearly do not have God’s understanding of these subjects cause they do not have the Holy Spirit.. so they are none of His for a start, they have let unrepentant sin continue in their lives still too. It’s the frequent and methodical strategy of those people not Holy spirit filled, those carnal, people walking in the flesh that they do bash, recite against anyone who has evidenced the Holy Spirit anointing still too, but we all can still see these false professors own false, unscriptural doctrine and practice for what it is , demonic. It’s now is also a charge of their “blasphemy of the Holy Spirit” and their disobedience of “touch not the Lord’s anointed.” Unlike the fundamental evangelicals Christians the Pentecostal Christians tend to rightfully believe that one’s Salvation by Jesus Christ is still a continuing process. Very few would say that you are eternally saved after you receive Jesus. While a person is “Saved” upon confessing one’s sin. accepting Jesus Christ as Lord and the infilling of the Holy Ghost as evidenced by speaking in other tongues, that person will still really not go further in the Kingdom of God now unless they do also sow good things, apply the Word of God to their own lives, continue to pray, and to apply holiness to their daily lives, and continually, daily learn to live after Jesus. In other words, if all you do is get saved, baptized and filled with the Holy Ghost, but don’t live a real Godly, holy Spirit filled separated life, then your salvation becomes definitely become world, satanic, sinful, stagnant, and unless you do something to fix that stagnation, you are very likely to backslide, or walk away from God and end up in hell. You always have a free will, It is your choice, you reap what you sow. Beyond the show of a doubt the devil himself firstly really hates any references to the Holy Spirit, the anointed ones, the idea that Christians do have now empowering to overcome the devil too… and so now the devil uses any of his followers, those in the fundamental religious circles too now, to now lie, twist, distort the Bible truths. Time also more Christians read their Bible instead of the fictional books, bad commentaries now too. Really! So they will not end up falsely Denying the present role, works of the Holy Spirit, and see the need for their own tangible good works by faith, and deal with their still too often unloving acts towards the others. Matthew 10”22 And ye shall be hated of all men for my name’s sake: but he that endureth to the end shall be saved. Most churches have fallen away from ministering in the gifts of the Holy Spirit. The gifts that operate even in in most “Spirit-filled” churches are simply words of exhortation or prophecy. There is much more even here . that should be manifested. You do also still have to seek these gifts with all your heart (Jer. 29:13). Thhs that also includes the nine Gifts of the Holy Spirit and the Spirit of Truth, Holiness, Wisdom, of the Fear of the Lord, of Counsel, Spirit of Grace and the Spirit of Knowledge. There are still nine Gifts of the Holy Spirit today even. So seek after and learn to sue them all, The nine Gifts are often separated into three groups. The first group is commonly referred to as the Power Gifts. They are called the Power Gifts because they DO something. They are: The Gift of Faith, the Gifts of Healings and the Working of Miracles. The second group is commonly referred to as the Revelation Gifts. These are Gifts that REVEAL something. They are: The Word of Wisdom, the Word of Knowledge and the Discerning of Spirits. The third group is commonly referred to as the Utterance Gifts. This is because they SAY something. They are: The Gift of Prophecy, the Gift of Tongues and the Gift of Interpretation of Tongues. Of course you can expect the devil and his followers to try to mislead you, distract you, turn you away from your seeking.. just perish on forward in it.The truth is that denial of the Holy Spirit’s ministry and power of the Holy Spirit is the devil’s theology along with his other lies now too such as that alcoholics are not responsible for their actions, depression is a chemical imbalance, and homosexuality is genetic. My life also wasn’t always perfect and still isn’t now. But receiving the baptism of the Holy Spirit opened up a whole new, dynamic relationship with the Lord My life was transformed instantly. Before the baptism of the Holy Spirit, I was in fear; afterward, I was as bold as a lion (Prov. 28:1). and noext now It wasn’t me living anymore, but Christ was living through me. Each and every Born again, Spirit filled Christian is clearly a part of “… the body of Christ, and each one of you is a part of it. And God has placed in the church first of all apostles (no longer in this church age), second prophets, third teachers, then miracles, then gifts of healing, of helping, of guidance, and of different kinds of tongues. Are all apostles? Are all prophets? Are all teachers? Do all work miracles? Do all have gifts of healing? Do all speak in tongues? Do all interpret? I Cor. 12:28-31 . Now as you pursue your own Ministry and earnestly desire the greater gifts“ I also now do pray you not only seek after all of the Holy Spirit gifts,lacking in none of them too and that you will utilize them all next to the strengthening of the whole Body of Christ, of which you are a part. We do not emphasize the baptism in the Spirit and speaking in tongues to a greater extent than all of the other essential New testament doctrines such as the New Birth from Above (salvation), dying to self, the Lordship of Jesus Christ, and water baptism. All the teachings of the New Testament even about tongues have the same priority as it is in Scripture. (Mark 16:17 KJV) And these signs shall follow them that believe; In my name shall they cast out devils; they shall s…peak with new tongues;18 They shall take up serpents; and if they drink any deadly thing, it shall not hurt them; they shall lay hands on the sick, and they shall recover. (Mat 10:1 KJV) And when he had called unto him his twelve disciples, he gave them power against unclean spirits, to cast them out, and to heal all manner of sickness and all manner of disease. (Luke 10:19 KJV) Behold, I give unto you power to tread on serpents and scorpions, and over all the power of the enemy: and nothing shall by any means hurt you. (Luke 12:5 KJV) But I will forewarn you whom ye shall fear: Fear him, which after he hath killed hath power to cast into hell; yea, I say unto you, Fear him (Acts 1:8 KJV) But ye shall receive power, after that the Holy Ghost is come upon you: and ye shall be witnesses unto me both in Jerusalem, and in all Judaea, and in Samaria, and unto the uttermost part of the earth. (Acts 10:38 KJV) How God anointed Jesus of Nazareth with the Holy Ghost and with power: who went about doing good, and healing all that were oppressed of the devil; for God was with him. (Rom 15:19 KJV) Through mighty signs and wonders, by the power of the Spirit of God; so that from Jerusalem, and round about unto Illyricum, I have fully preached the gospel of Christ. (1 Cor 2:4 KJV) And my speech and my preaching was not with enticing words of man’s wisdom, but in demonstration of the Spirit and of power: For God expects us all personally also to live the full Gospel… for there needs to be a real personal evidence, sign of it in our own life continuously too..